Daniel Sturridge struck a stunning equaliser the last time Liverpool met Chelsea in the Premier League, but his first-team opportunities have remained limited going into the reverse fixture on Super Sunday. After six-straight Premier League wins to start the season, Liverpool were facing defeat when trailing Chelsea to an Eden Hazard goal at Stamford Bridge in September. However, Sturridge came off the bench to score a goal-of-the-season contender and steal a point for Liverpool, helping extend an unbeaten run which lasted for 20 league games. 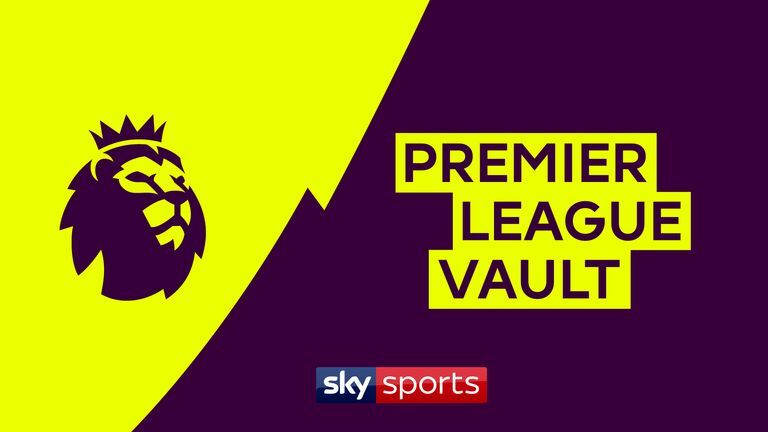 But despite his telling contribution, Sturridge failed to kick on, and he has started just two league games going into Sunday's match at home to Chelsea, live on Sky Sports. After a hamstring injury hampered Sturridge's loan spell at West Brom in the second half of the 2017-18 campaign, the forward looked rejuvenated when scoring in five of Liverpool's pre-season friendlies. During this time, Sturridge vowed to stay and fight for his place under Jurgen Klopp, saying: "I see myself staying at Liverpool, hopefully being part of the team week in, week out. "I'm excited about the season ahead and it feels great to be back." But once the Premier League season came around, the opportunities were few and far between. Sturridge came off the bench and scored in Liverpool's 4-0 win over West Ham on the opening weekend, but remained a peripheral figure going forward. 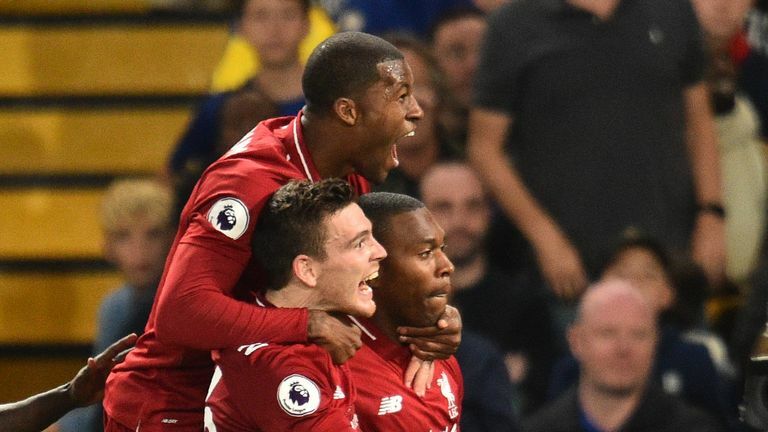 His stunning 89th-minute goal against Chelsea came just three minutes after being introduced against his former side, and Klopp admitted afterwards Sturridge was not yet ready to play a full 90 minutes, but did stress: "That's the target." The 29-year-old went on to play every minute at Huddersfield two league games later. He did so again at Burnley in early December, but those are the only two occasions where he has featured from the off in the league this season. In the cups, Sturridge has started two of Liverpool's nine Champions League matches to date - scoring in their Group C opener against Paris Saint-Germain - while he was in the starting XI for both the 2-1 defeat at home to Chelsea in the Carabao Cup in September, in which he scored, and the 2-1 loss at Wolves in the FA Cup in January. Heading into this Sunday's match at home to Chelsea, Sturridge has played five minutes of Premier League football since the beginning of March. He has been out of the matchday squad for their previous two encounters while an investigation continues after he was charged for allegedly breaching the FA's betting rules. With Sturridge's contract expiring in the summer, it appears he is entering his final weeks at Anfield. Whether he can bow out with a Premier League and/or Champions League medal remains to be seen, while there has been little speculation as to where he could end up. In Feburary, France Football reported La Liga club Real Betis were interested in signing Sturridge as a free agent, while the Daily Mail claimed in January that Sevilla, Valencia, Monaco, AC Milan and Inter - as well as Chinese Super League teams - were all keen on the striker. Meanwhile, Sturridge gave little away when asked about his own future in January, insisting he is focused simply on the present. Is his fitness a concern? Prospective clubs will know the risks of signing Sturridge, who has persistently suffered hamstring and hip problems throughout his career, and though he can boast an injury-free season to date, his lack of game-time will also be a concern. Sturridge has completed 90 minutes of competitive football just three times this season. In 2017-18 he did so just once, in 2016-17 it was just three times once more. With regards to the Premier League, Sturridge has played a full 90 minutes just three times in the last three seasons, and that is only raised to 10 when including the 2015-16 campaign. A proven goalscorer when fit, there will no shortage of clubs interested should he look to move on this summer, but for now it appears he will only have a bit-part role to play as Liverpool chase Premier League and Champions League glory.